You crafty little blogger you! How creative with the pumplin heads, I LOVE IT! As usual you have mad coloring skills! A feast for my weary eyes!!!! Wow this is absolutely great. Dun idea. This rock. Love it. Wow...just wow, i LOVE it! 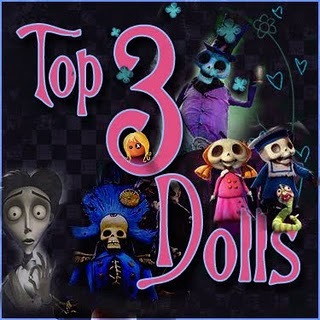 This is fab, I love them with pumpkin heads!! Love the pumpkins, fabulous creation! 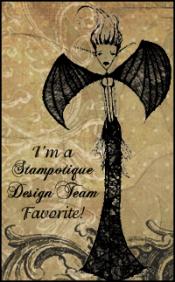 Thanks so much for joining us at Stampotique Designer's Challenge! This is absolutely stunning. Love your vintage pumpkin. Thanks for joining us at SDC # 16.
ha, that´s the kind of vintage i love!! (not all brown in brown;)) very clever combination of the stamps with the pumpkin motifs! really fantastic!!!!! Ok, now that's a seriously rockin' idea! Wonderful coloring and totally creative layout! Thanks so much for sharing your inspiring ideas with the Stampotique challenge this week! Gorgeous! I love the rich colours and how the longer you look at this piece, the more you see. Fabulous!